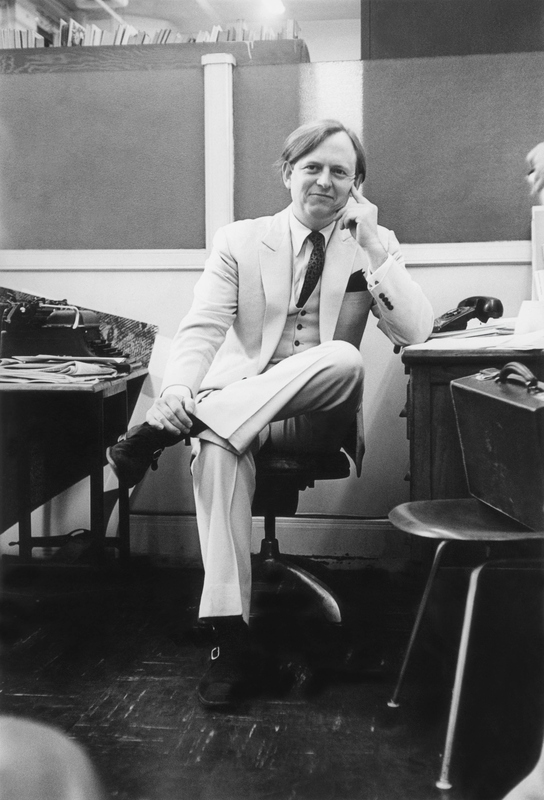 Tom Wolfe, Best-Selling Author And Genre-Breaking Journalist, Dies At 88 The author of The Bonfire of the Vanities and The Right Stuff used to give himself a quota of 10 triple-spaced pages per day. He also experimented with literary techniques in his nonfiction. Novelist and journalist Tom Wolfe believed that techniques for fiction and nonfiction should be interchangeable. "The things that work in nonfiction would work in fiction, and vice versa," he said. "I looked at the whole city first," he said. "I wanted to do New York High and Low. I figured Wall Street could stand for the high end, and also some of the life on Park Avenue. And at the low end, there would be what you find caught up in the criminal mechanism in the Bronx. Once I zeroed in on these areas, I would then find the characters." 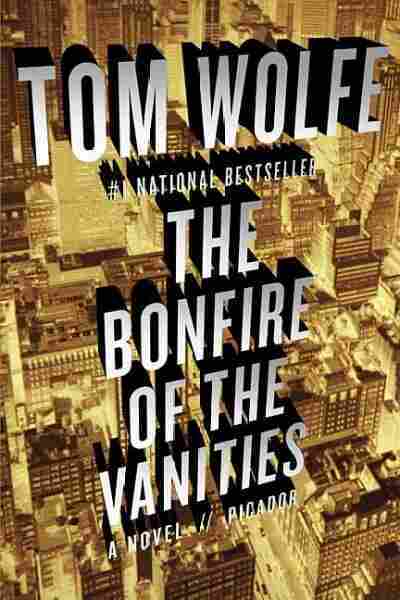 The novel that grew out of Wolfe's research — The Bonfire of the Vanities — was the tale of Sherman McCoy, a wealthy bond trader who loses everything after a wrong turn in the South Bronx with his mistress in the passenger seat. It was a huge critical and commercial success. Wolfe had written the novel from the same "you are there," stream-of-consciousness, first-person perspective that he pioneered in his nonfiction 20 years earlier. "I've always contended on a theoretical level that the techniques ... for fiction and nonfiction are interchangeable," he said. "The things that work in nonfiction would work in fiction, and vice versa." Wolfe began working as a newspaper reporter, first for The Washington Post, then the New York Herald Tribune. He developed a unique style, incorporating literary techniques — interior monologues, amped-up prose and eccentric punctuation. It was called the "New Journalism." 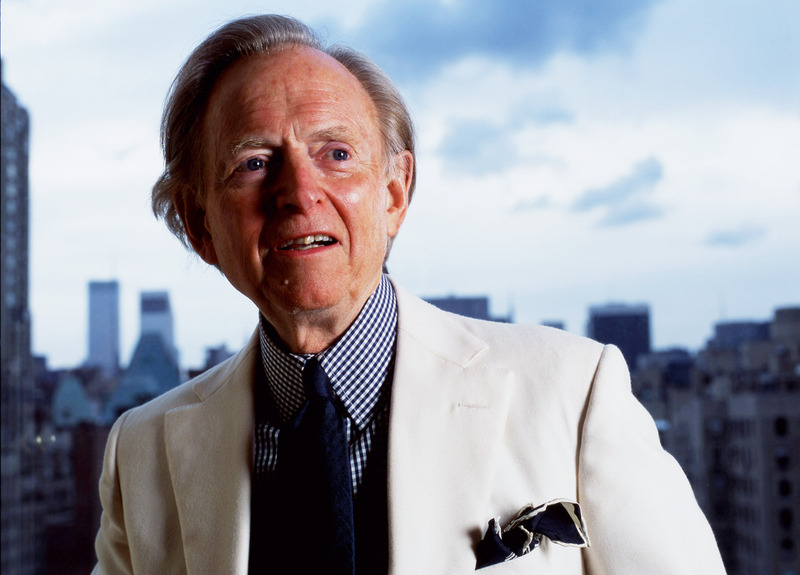 "When Tom Wolfe's voice broke into the world of nonfiction, it was a time when a lot of writers, and a lot of artists in general, were turning inward," says Lev Grossman, book critic for Time magazine. "Wolfe didn't do that. Wolfe turned outwards. He was a guy who was interested in other people." Wolfe was interested in how they thought, how they did things and how the things they did affected the world around them. "He showed us how to walk into a cocktail party, a NASA training center — how to walk down the street and see in front of us this incredible drama of amazing richness, and amazing significance," Grossman says. 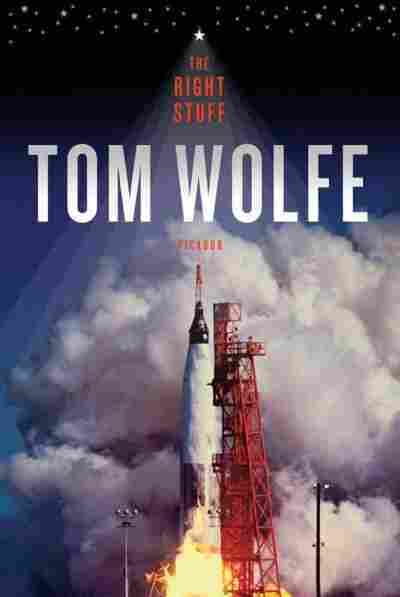 In 1979, Wolfe published The Right Stuff, an account of the military test pilots who became America's first astronauts. Four years later, the book was adapted as a feature film. "The Right Stuff was the book for me," says Grossman. "It reminded me, in case I'd forgotten, that the world is an incredible place." In The Right Stuff, Wolfe popularized the phrase "pushing the envelope." The title of Wolfe's nonfiction essay (later published as part of a book) about Leonard Bernstein's fundraiser for the Black Panthers, Radical Chic, became a catchphrase for leftist liberals. In a New York magazine article, Wolfe dubbed the 1970s "The 'Me' Decade." Grossman says these phrases became part of the American idiom because they were dead on. Wolfe — in his signature white suit in 1966 — coined or popularized phrases that became part of the American lexicon, such as "radical chic" and "The 'Me' Decade." "He was an enormously forceful observer, and he was not afraid of making strong claims about what was happening in reality," Grossman says. "He did it well, and eloquently. And people heard him. And they repeated what he said because he was right." To get it right, Wolfe said he first did extensive research, then he made an exhaustive outline — and then he started "having fun." "I like to use the technique of what I think of as a controlled trance," he explained. "I'll actually sit in front of the typewriter, close my eyes, and then try to imagine myself into the particular scene that I'm going to write about. Once you know what you're going to say — I give myself a quota each day of 10 triple-spaced pages on the typewriter. And that comes out for me anywhere from 1,600 to 1,800 words. That's not all that hard to do." All those words started a revolution in nonfiction that is still going on, says Grossman. "Everything that bloggers have done for journalism — and I personally think they've done a lot — Wolfe did it first, he did it 30 years earlier, and he did it better," Grossman says. "And I think we're still catching up to him." A previous version of this story, as well as a headline, incorrectly gave Tom Wolfe's age as 87. He was 88 when he died.